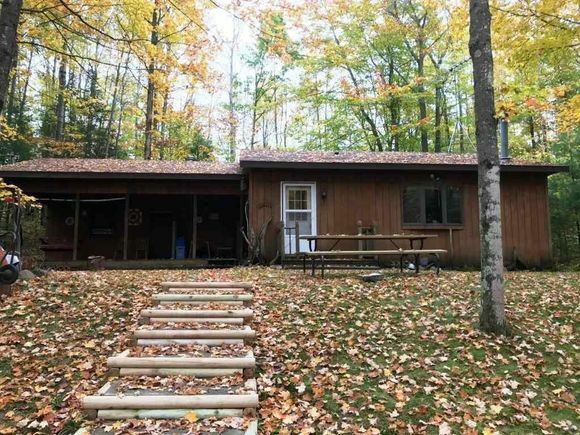 Nicely wooded lot walking distance to Wheeler Lake & Pine Ridge Lake. This 1968 mobile has 3BD, 1BA, 14x20 Great Rm addition with T&G vaulted ceiling & corner wood stove. Large 10x18 covered porch w/swing. Drilled well & conventional septic. 2 small sheds. Hwy 32 North to Lakewood. RIGHT on Cty F, LEFT on E Wheeler Lake Rd, RIGHT on Pine Ridge Lake Ln, property on right. The details on 14285 PINE RIDGE LAKE LANE: This house located in Lakewood, WI 54138 is currently for sale for $51,000. 14285 PINE RIDGE LAKE LANE is a 820 square foot house with 3 beds and 1 bath that has been on Estately for 550 days. This house is in the attendance area of Wabeno Elementary School and Wabeno High School.